1. 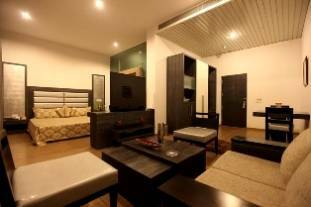 Hotel Chaupal is centrally located in the heart of the commercial & residential area of Gurgaon ( NCR ). Easily accessible and merely 20 minutes drive from IGI International Airport Delhi ( 19 kms ) & 20 minutes drive from IGI Domestic Airport Delhi. 2. 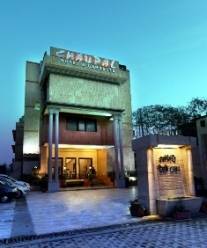 Hotel Chaupal features elegantly designed comfortable 35 spacious rooms having modern interiors and comforts to suit and serve as a one-stop business and leisure facilities to a business traveler as well a tourist traveler. 3. 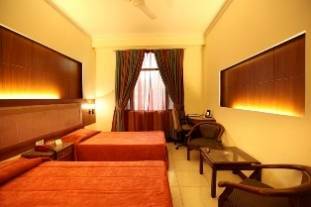 All Rooms consist of Split and centralized Air Conditioning System with attached bathroom having running Hot & Cold Water and shower, 21" Colour Television in each room and Work Table with Internet Connectivity in all rooms.